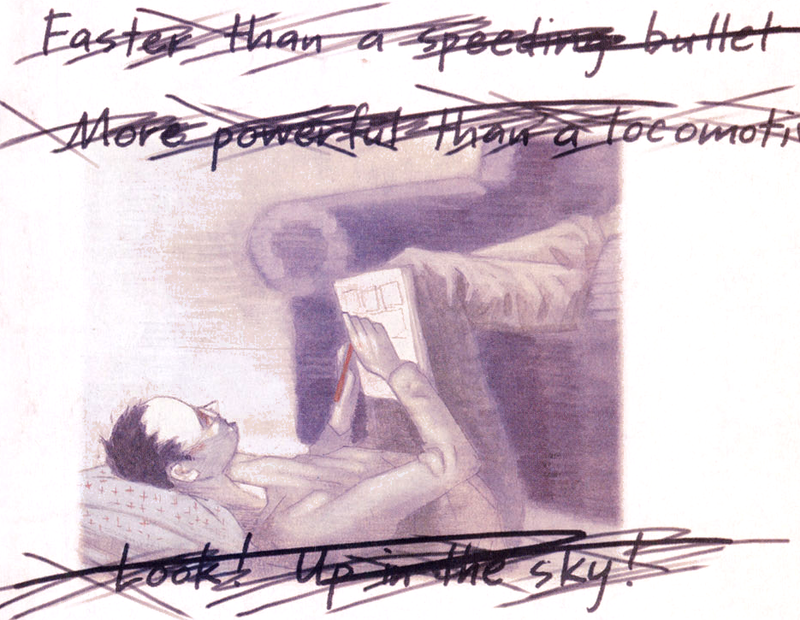 “It’s a Bird” is one of the most poignant, beautiful and touching stories I have ever read. I’m not limiting this statement to just graphic novels either. Written by Steven T. Seagle, “It’s a Bird” is an autobiographical piece about an author who is offered the holy of holies, a shot at writing Superman. As Seagle points out, this should be the moment he has been waiting for. He should be overjoyed at the idea of creating an entire story around a character who is arguably the most famous in all of comic book history. 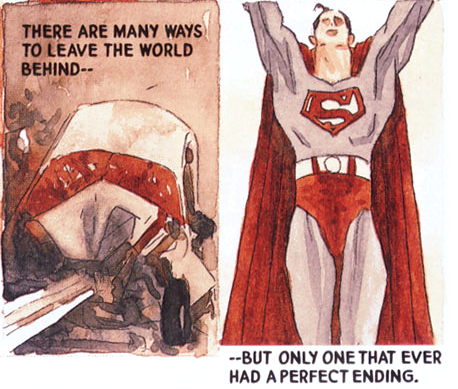 The story progresses through various aspects of Superman’s identity. It opens with a bittersweet story about a young boy who wears a Superman costume to school and feels like a hero, for just one day. A comparison is then made between Clark Kent who can duck out of the Daily Planet and be a hero on his lunch back while the others remain in the office and languish for another hour. Who is Superman, really? He left his world behind. He hides behind a mask. He is a fascist. He is perfect. He is an alien. He rose from the dead. He is invulnerable. He is vulnerable. Does anybody know him? This story touches on the fears experienced by a person assaulted by a terrifying foe that may not even exist. It looks at the relationship between a man in hiding and those trying to find him. What does it mean to be super? This is not a story about Superman. This is not even a story about a super man. This is a tale about a man, who cannot see outside of his own life. A man who cannot see the parallels when they are in abundance around him. He has surrounded himself with one-way glass and shows the world nothing but his own introspection. This book might take you to a place that you don’t want to go but it is worth it. Every time I read it I come away with something that I didn’t realise I had, or didn’t realise I’d lost. It makes me want to hold my wife and tear down a wall. But like any good story, it mostly just makes me want to read it again. 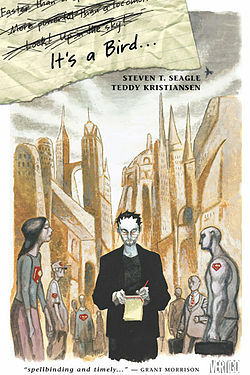 This entry was posted in Comics, Reviews and tagged it's a bird, steven t. seagle, superman. Bookmark the permalink.